Black Clouds Bring Rain is yet another fantastically dark and deep ‘indigietech’ sound coming from CTG’s Tomahawk Bang. Deep sub frequency bass, with driving kicks and arpeggiated synth madness. 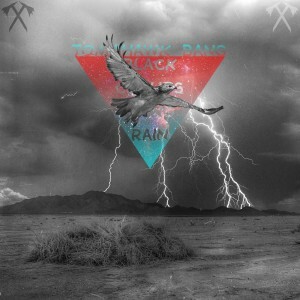 Tomahawk Bang takes you on a walk through the stormy desert season with the title track ‘Black Clouds Bring Rain’. The supporting track, ‘Disconnected’, has you transcending into the cosmos on a starry night after the storm has calmed. Together a great two track journey into the world of Tomahawk Bang.